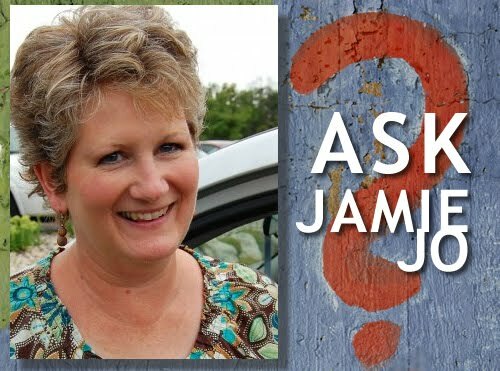 IRL*in real life with Jamie Jo: "ASK JAMIE JO"
Oh, oh, oh... can I apply for a job? I really want to be the one that get to assign those nicknames!! It would be just the outlet for my sarcastic personality! Dear Lord, Please help that dear tech guy... the thought of working in an office full of women reaching women... and perhaps he is married to a woman.... just protect the poor guy from estrogen overload, ok? Jamie Jo - You have SPARE TIME??!! What is that? I like unbridled enthusiasm! It's ...um....wild! Thanks! And I'm sure Anthony appreciates the prayers, too. While you're at it, our sweet editor is having a hard week after losing a very dear friend. Grieving is such a full-time job all by itself. Now, send in some good questions. The harder ones will have to wait until the forums are up so I can get more expertise from a wider audience. Oh Jamie - I can't think of a person better suited to this task than you. Most of why I love you is that you love the Lord but wow, you're a real woman (do you hear the music to that song?). As in you have issues with the flesh that :gasp: I thought missionaries had already conquered so that they could be holy and used. Much love to you as you come alongside and mentor here.